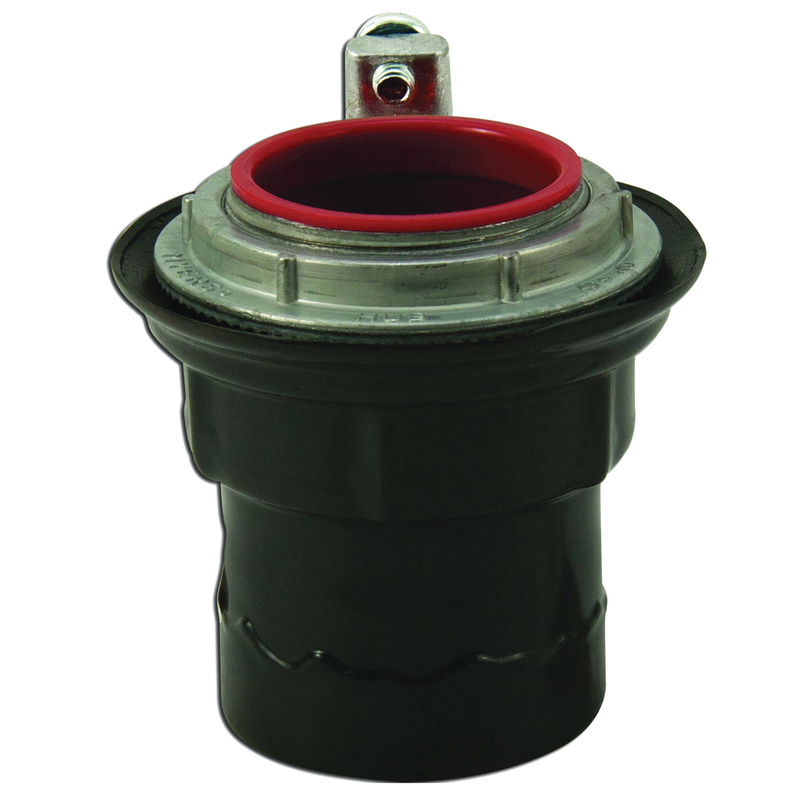 Robroy Plasti-Bond REDH2OT® Knockout hub with threaded connection, has a wall thickness ranging from 0.125 to 0.25-Inch. It has a trade size of 1-Inch. It is gray PVC coated with 40-mil thickness. Hub has steel construction for durability. It measures 2.5-Inch Dia x 2.66-Inch. It is suitable to terminate conduit runs through the wall of a sheet metal electrical enclosure. It is suitable to terminate conduit runs through the wall of a sheet metal electrical enclosure. Hub meets UL, CSA, NEC/CEC Class I, Division 2, Class II, Divisions 1 & 2, Class III, Divisions 1 & 2 standards.